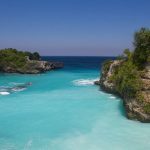 Everyone knows about Bali, that iconic tourist island in Indonesia, but escape to one of the islands nearby and you’ll have a far different travel experience. I spent a week in Java, starting in Jogjakarta and journeying to some stunning volcanoes and ancient temples. Looking for a one week Java itinerary? You’ve come to the right place! Jogjakarta, or Jogja for short, is a city with a lot going for it. 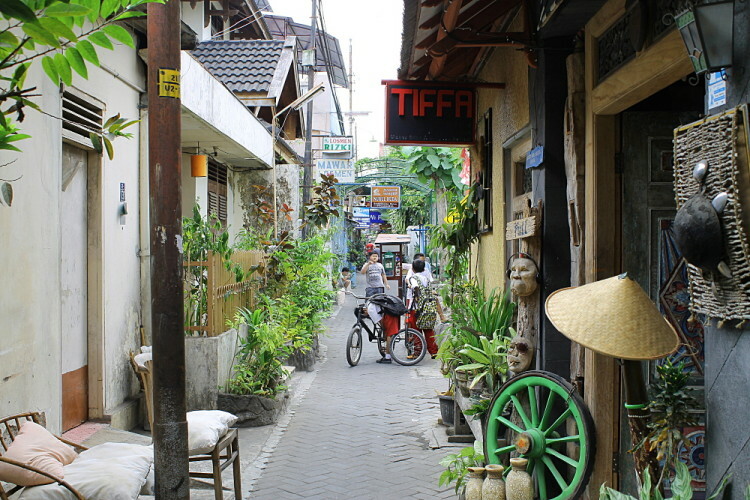 Sure, you have the noise, grimness and seemingly endless urban sprawl of any other Indonesian city, but the area where most travellers stay is a maze of back allies filled with small guesthouses, restaurants and galleries creating a sanctuary from the chaos outside. It’s basically a quainter version of Khaosan Road (in Bangkok) without the loud music and buckets of alcohol. It seems like a slightly older crowd venture to Java, and the atmosphere in this place reflects it. 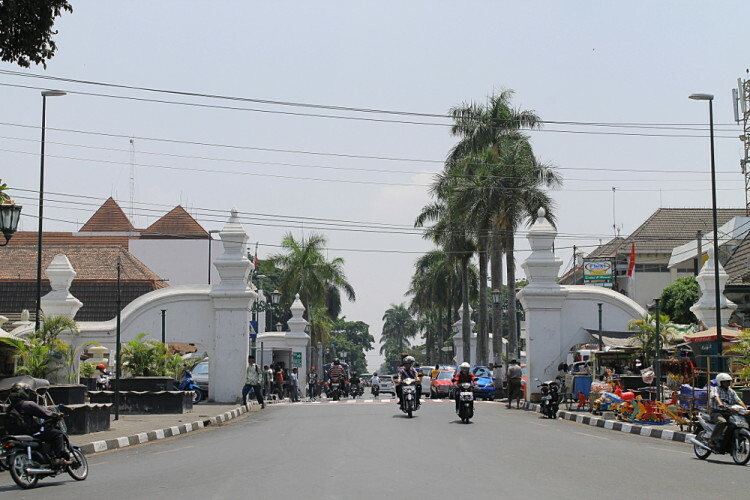 The whole area revolves around Jl Maliboro, a busy but interesting street full of horse and cart taxis, shops and plenty of people. It’s a great place to get organised for the road ahead, as you can book bus tickets or tours to anywhere in Java and beyond. There are some decent attractions nearby, including The Sultan’s Palace, water castle (Taman Sari) and bird market. The only annoyance in these parts is the hassle from batik salesmen. Batik, a form of art using dye and cloth, is famous in Jogjakarta and they like to remind you of that while pressuring you to check out their galleries. Visiting these two temple complexes was the main reason for my visit to Java. 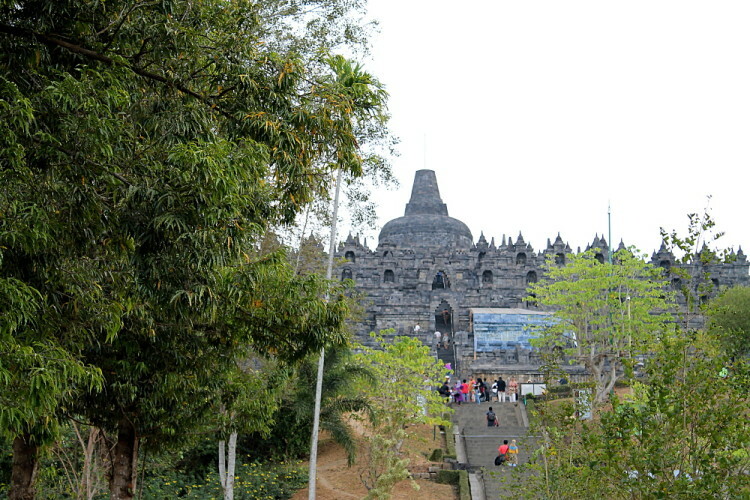 Borobudur is a huge Buddhist structure built in the 8th and 9th centuries. 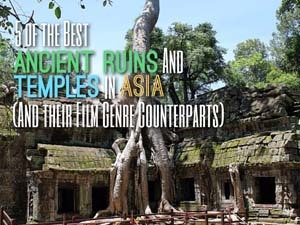 Unlike most ancient ruins in Southeast Asia it’s just one big building, but that one building is pretty impressive. It lacks the scope of some other sites in the region, but unless you’ve been to the likes of Angkor Wat and Bagan you will be more than impressed with it. 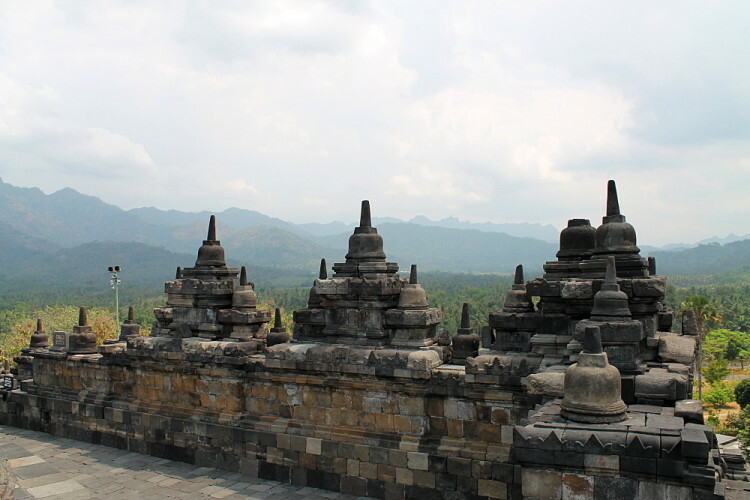 The scenery surrounding Borobudur is pleasant. I spent about an hour or two walking around looking at the views and the intricate carvings on the temple. But that’s it. There’s nothing really to explore; you go up and then come down. 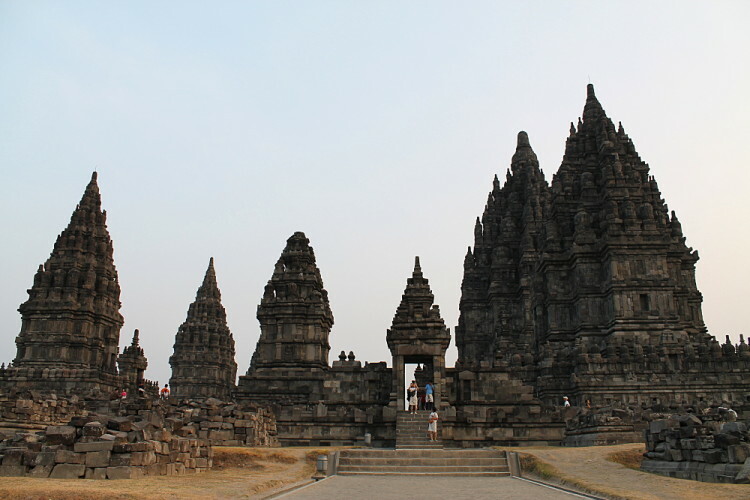 Prambanan, just 17km from Jogjakarta, features an array of mid-sized temples. I got there pretty late in the day, which made it a lot more peaceful (and cooler) than my late morning, peak-time trip to Borobudur. It’s actually quite a big site, and if you head out to the furthest reaches you’ll possibly get some one on one time with the temples. I still can’t work out why this place isn’t more popular. The travel agents didn’t seem to be pushing the tours, and in the two days I spent there I saw only a handful of other western tourists. I try and avoid taking tours whenever possible, so I decided to make my own way there after my trip to Borobudur. It took a lot longer than I expected, and two buses later I was in a small town called Wonosobo, still a couple of hours away from Dieng Plateau. It seemed like I was the only westerner in town. I had trouble finding a guesthouse, in the end settling for a really strange little place which was almost completely empty. I’m not sure if it was even a guesthouse, but it did the job. 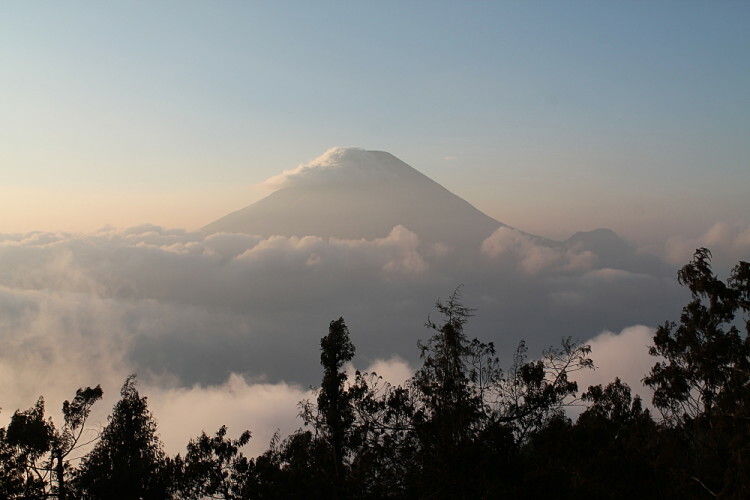 The final bus ride up to Dieng Plateau was well worth the trouble. The scenery, and the people, got more and more interesting the higher the bus climbed. Old ladies would jump on the bus with vegetables to sell at the market. They would look at me, laugh between themselves, and carry on with whatever they were talking about, occasionally offering me some of the peanuts or sweets that they were eating. One even fell asleep on my bag. There are only a couple of guesthouses in Dieng Plateau and they can help organise anything you might want to do in the area. There really is no need to book a tour, it’s the perfect place to just walk around and explore. There are old temples (thought to be the oldest in Java), bubbling volcanic pools and multi-coloured lakes, all linked together by terraced vegetable farms and some really nice mountain scenery. I did a lot of walking, and on the second day I hired a motorbike driver to take me around some of the more distant sights. One of the highlights of my two days in Dieng Plateau was a sunrise climb to the top of one of the mountains, which held some spectacular views of the surrounding peaks. Exploring around Dieng Plateau was a great way to spend a few days and I’d recommend anyone looking to get off the tourist trail to check it out. It was a spur of the moment decision to visit Mount Bromo, but I’m glad I did. I got the bus there, which took around 10 hours, saw the mountain and then took another bus back to Jogjakarta. 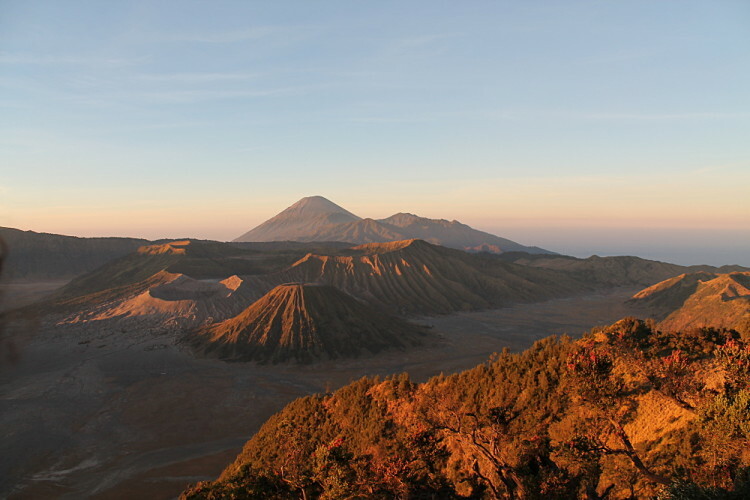 It takes something pretty amazing to make that much time on a bus pay off, and Mount Bromo managed it. The sunrise was stunning, dampened only slightly by people’s poor tourist-site etiquette. A few heated arguments broke out because people were hogging the best photo spots (I’m still not sure if the people complaining or the people taking up too much space were in the wrong). It was crowded, but it was the best sunrise of my short travelling career (I’m not really a morning person so I haven’t actually seen too many sunrises, but trust me, it was great!). 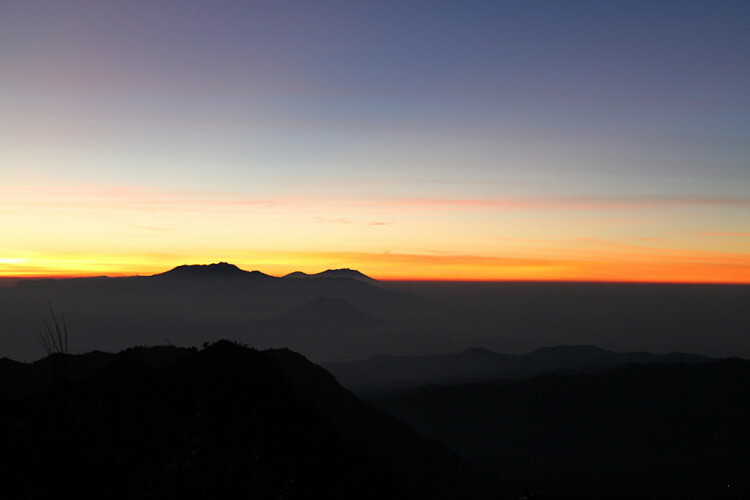 The sunrise was followed by a trip to Mount Bromo itself, which is still very much active. It was bubbling away ominously when I was there. The whole area is so desolate, like the setting for a post apocalyptic movie. The trip to Mount Bromo was another highlight of an eventful week in Java, which held far more for the curious traveller than I had imagined. I did my Java itinerary a little different to most because I flew in and out of Jogjakarta. If you have a longer trip it makes far more sense to fly into Jogjakarta (or Jakarta if you’re coming from further afield) and then travel overland (and a little bit of water) to Bali. The Mount Bromo tour I took drops people in Bali and it’s a lot closer than going all the way back to Jogjakarta! Jakarta is an OK city (check out my post about how to spend two days in Jakarta). 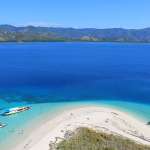 There is obviously heaps more you can see on this island but I think given the time restraints this is a great itinerary, especially if you’re moving on to Bali and the Gili Islands after (meaning you don’t need to worry about seeing beaches in Java). Do you like my Java itinerary? Are you planning a trip to Indonesia? Let me know in the comments below! This sounds like a pretty amazing week! 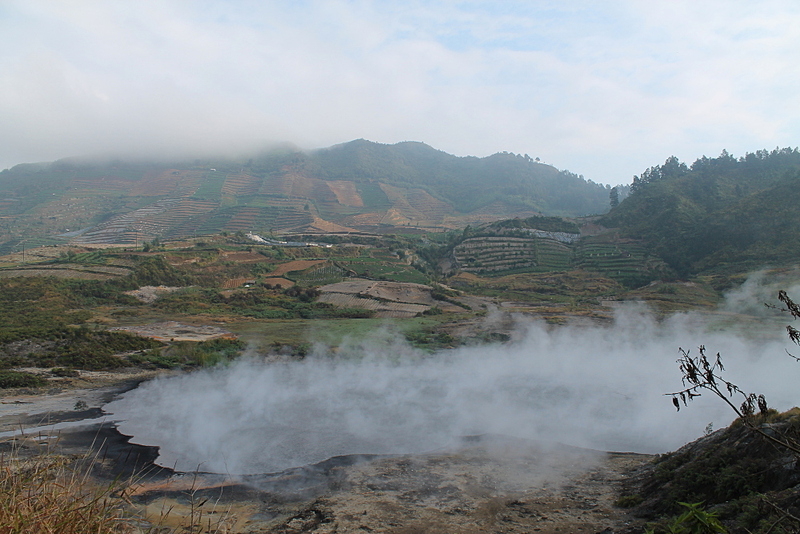 I’d never heard of Dieng Plateau, but it looks incredible. I love the light in the last photo of the post too. Happy New Year! Thanks! 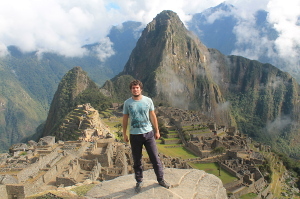 It’s a pretty awesome place, I could have spent a lot longer than a week there. 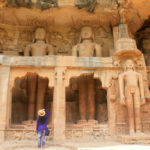 Spectacular landscape and amazing temples – that’s got to be a winning combination! Wow, some great photos Jon! Nice summary, we’ll be heading there later in the year and I’ll make sure to visit all these places. Cheers Frank, it’s an underrated place, I’m sure you’ll enjoy it! It’s interesting to see that you’re not interested with Borobudur and Prambanan, and yet you were delighted to see Dieng. More authentic maybe? Anyways, great pictures with it too. 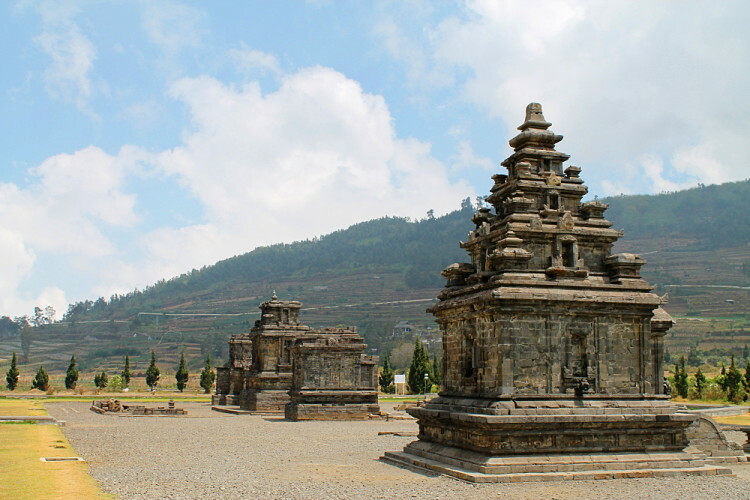 I liked them, but they were pretty similar to Angkor Wat etc, Dieng is a more unique place I think, and the scenery is great! 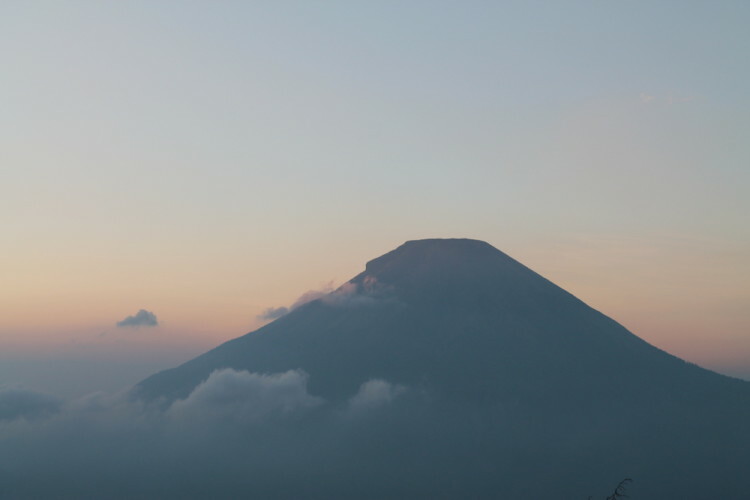 Great post on Central and East Java! One thing that I’d like to include about Yogya is its history behind the famous wayung kulit shadow puppetry and Ramayana ballet. Both are both historical and beautiful pieces of vibrant art that make Yogya what it is. I met this backpacker doing a video history of the wayung kulit puppetry while there. Along with Mt. Bromo, I highly recommend that people do a night/sunrise hike up to and into Ijen Crater before hopping a ferry to Bali. That was my favorite part of my trip in Java. 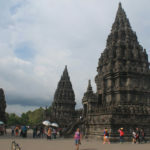 Thanks again for the great blog posts of your travels in Indonesia.